The Wolf Tooth Components 1x 104 BCD MTB Chainring fits any 104 BCD crankset and features Wolf Tooth’s Drop-Stop technology – an alternating wide/narrow tooth pattern that prevents chain derailment. 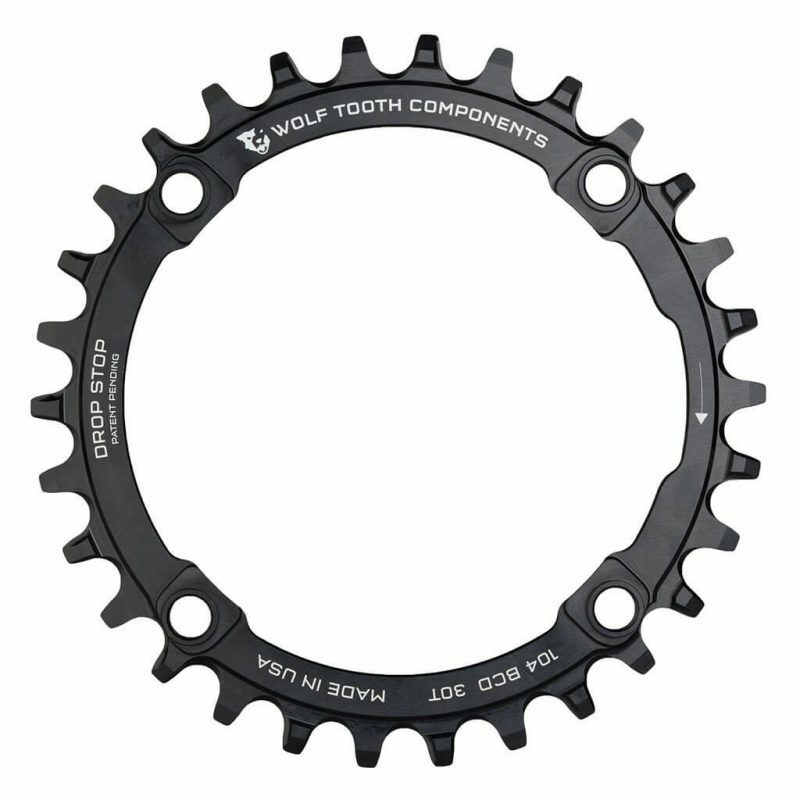 The wide side of the tooth has maximum contact on the drive side which spreads the load and improves chainring life. The narrow side allows clearance for mud and debris which reduces friction.